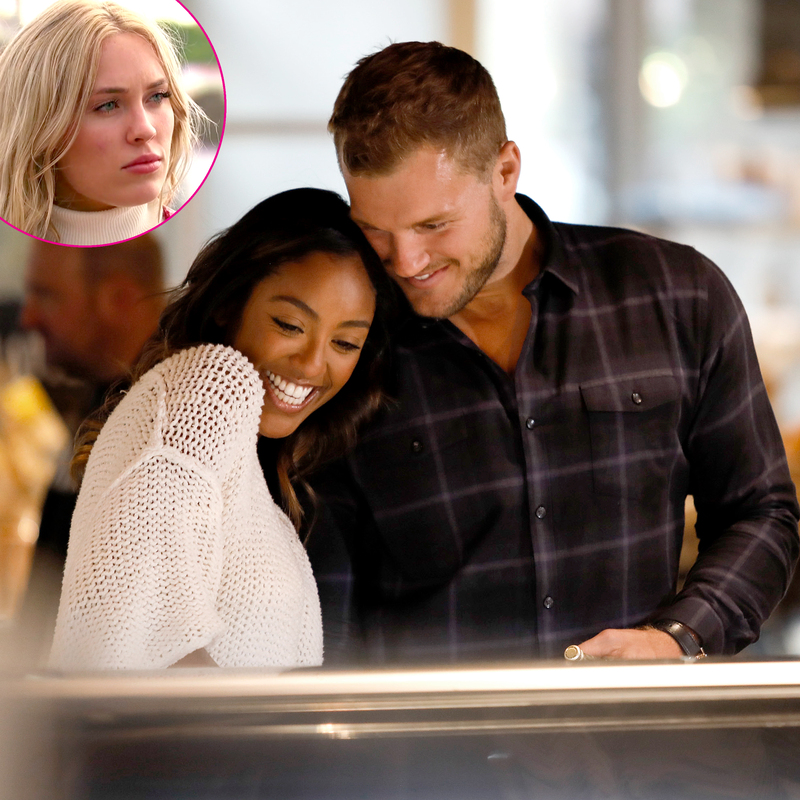 It’s been difficult for Cassie Randolph to see Colton Underwood making out with other contestants, particularly rival Tayshia Adams, during season 23 of The Bachelor, a source reveals exclusively in the new issue of Us Weekly. Cassie and Tayshia, 28, fought during the season after the latter suggested that the 23-year-old was not ready for marriage. Despite the former football player getting approval from Tayshia, Hannah Godwin and Caelynn Miller-Keyes’ respective families, he only had eyes for Cassie. After eliminating the former Miss North Carolina ahead of the fantasy suite dates, however, the speech pathologist took herself out of the running for Colton’s heart. The following week, Colton decided he still wanted to pursue a future with Cassie, despite her breaking up with him. As a result, he sent both Tayshia and Hannah packing. During the Tuesday, March 12, finale, it was revealed Colton and Cassie got back together. The twosome then appeared together live on the The Bachelor: After the Final Rose special. For more on Cassie and Colton’s relationship, pick up the new issue of Us Weekly, on news stands now!